Your website is not just a fancy digital brochure. It’s your most important marketing tool and should be the hub of all your marketing, whether you’re doing online digital marketing or traditional offline marketing. An increasing number of home builders are finding that it’s becoming harder and harder to reach their target audience. 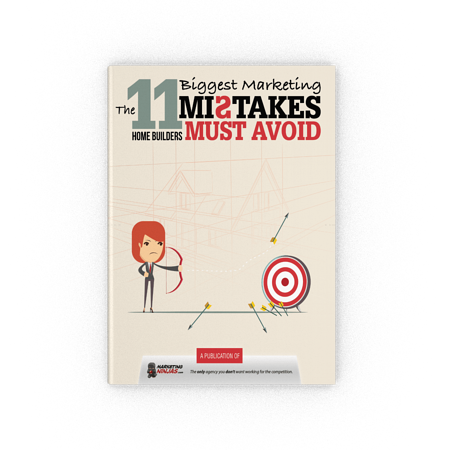 In this ebook we expose the 11 most common marketing mistakes home builders make and provide specific action steps you can take to improve your marketing overnight.